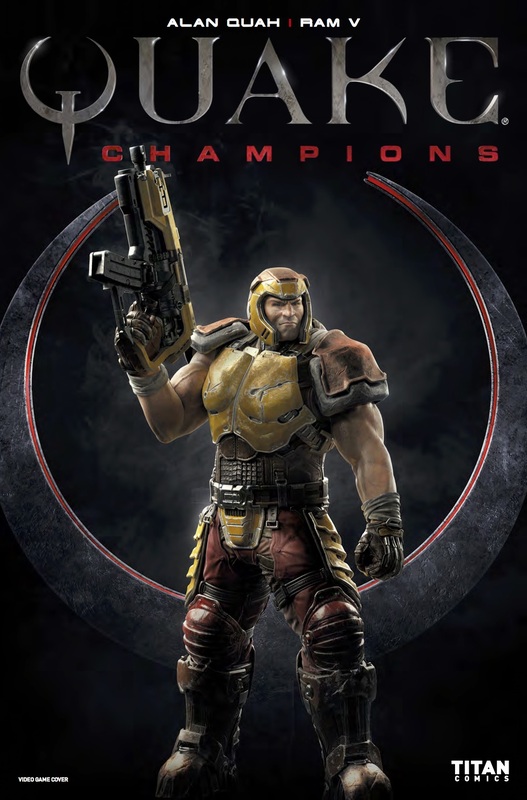 The Fellowship has obtained a first look at QUAKE CHAMPIONS #1 from Titan Comics. 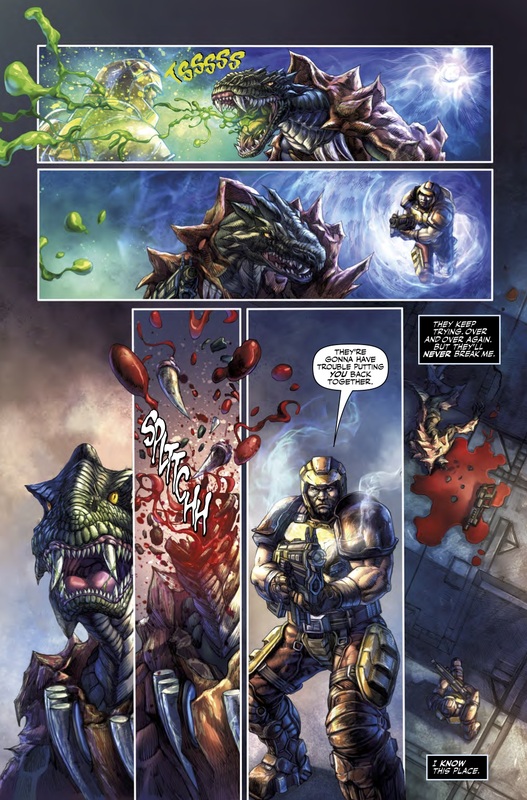 The issue, which hits stores August 9th, is written by Ram V; with art by Alan Quah. 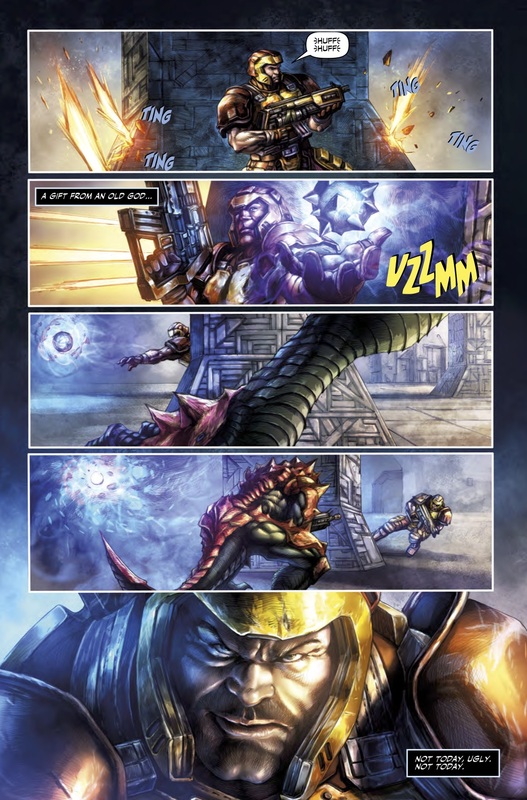 Get ready for the grisliest interdimensional frag-fest you’ve ever laid eyes on! 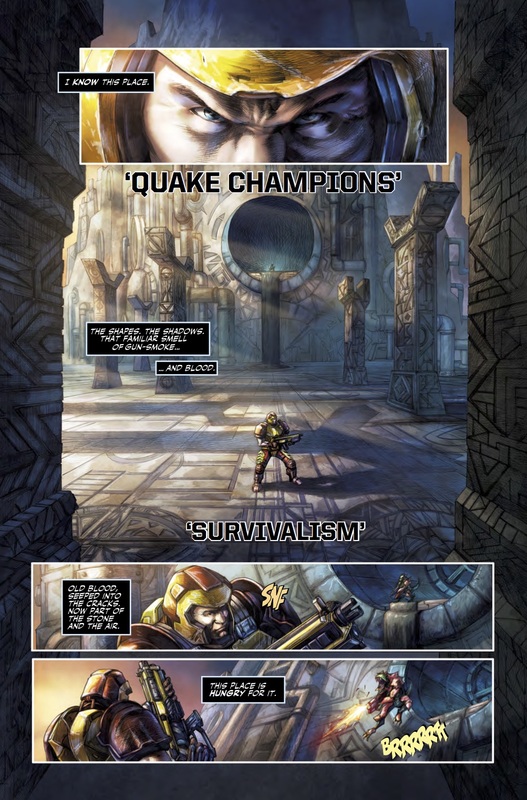 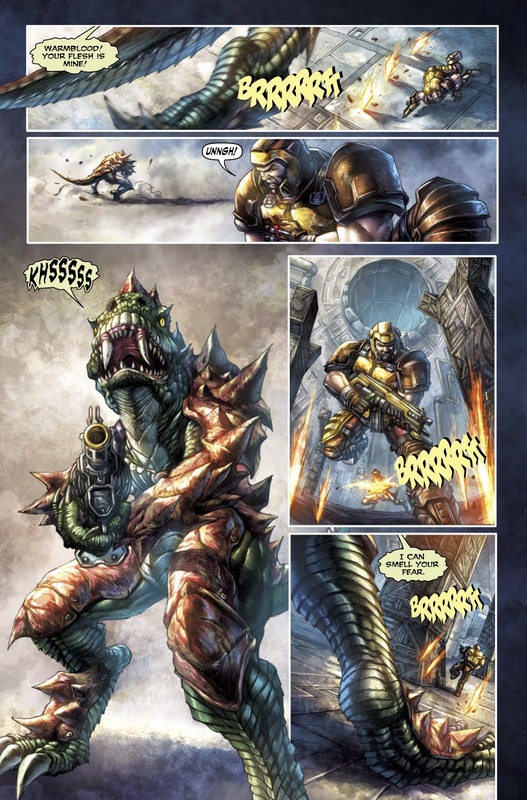 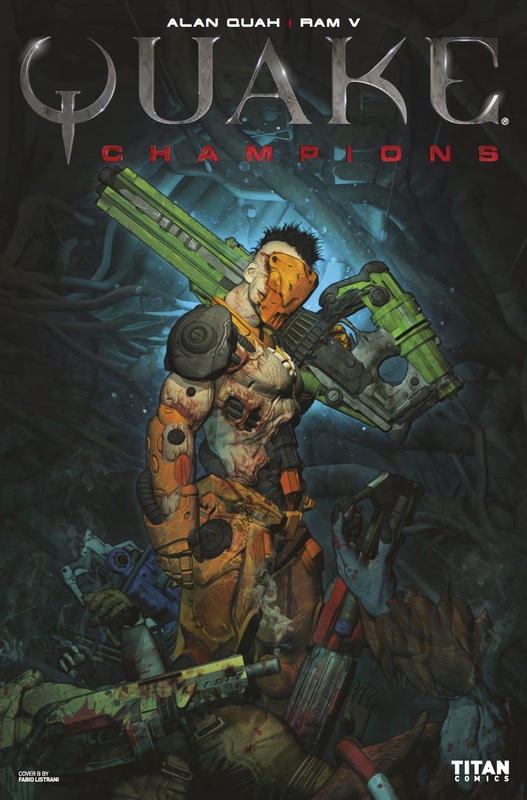 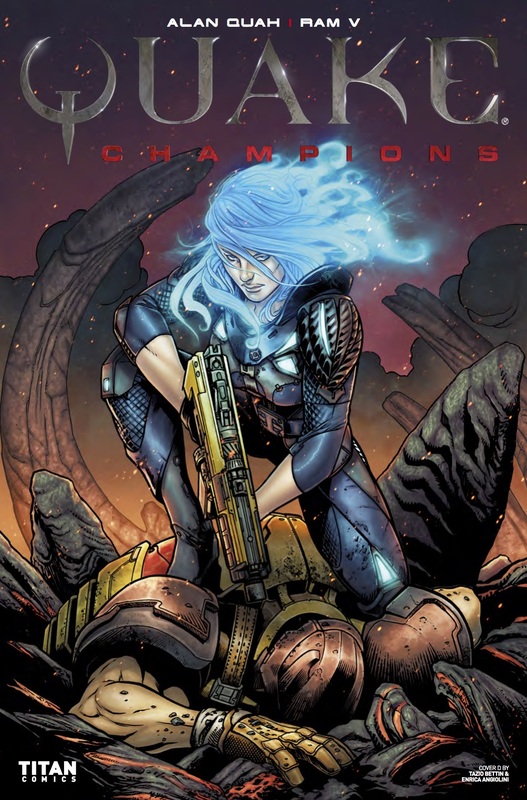 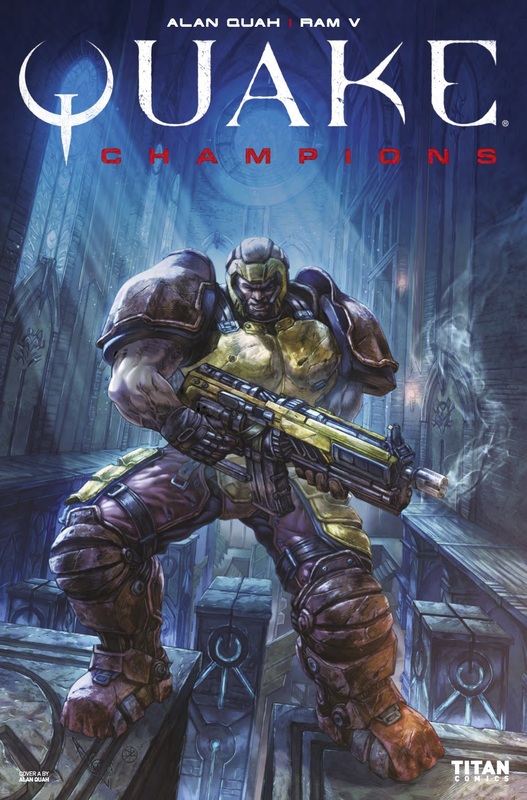 Brand-new comics based on the best-selling franchise, which leads directly into the upcoming new game - Quake: Champions!